At CellAntenna we pride ourselves on being renowned experts in the use of cell phone control and managed access solutions around the globe. Contraband cell phone use in correctional facilities by offenders continues to be a problem that has become one of the top priorities for correctional officials around the world. The possession and use of contraband cell phones puts guards at risk as inmates use them for “command and control” to organize correctional facility riots and other dangerous activities. There are well-documented cases where inmates have planned murders from inside their cells to eliminate trial witnesses and in one case an inmate called the judge presiding over his trial as a threat. In Latin America where drug trafficking is a major industry, drug cartel leaders continue the management of their organizations from inside correctional facilities. Typical defeat strategies implemented in prison facilities currently include: Improved screening of correctional employees and visitors, additional surveillance cameras, dogs that recognize the scent of the lithium batteries used in cell phones, frequent cell and personal searches of inmates, intelligent detection systems, simple handheld detection devices, IP based triangulation systems, and managed access systems. These traditional methods and technology based solutions have met with limited success as the number of contraband telephones continues to increase at an alarming rate. With the price for contraband cell phones sky rocketing inside correctional facilities, perpetrators have resorted to very creative means for getting this contraband inside the correctional facilities. 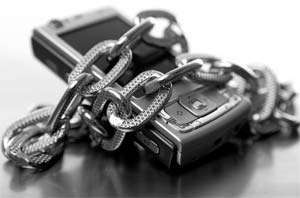 From information captured recently by the CJAM-CPC in a Federal correctional facility in the USA, it was documented that inmates are lending or renting their GSM handsets to other inmates that have only SIM cards. One handset (IMEI) using multiple SIM cards (IMSI). Locating a SIM cards using traditional methods (search/dogs/metal detectors) is impossible. From designing and deploying cell phone threat management systems globally we recognize that every correctional facility is different in size, architecture and location. Plus, some are located in the middle of nowhere and some are in downtown areas. To think one solution can be effective in all cases is illogical. 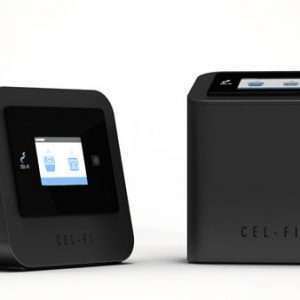 Today CellAntenna primary focus is on detection, control, management and service denial for cellular phones. This focus has enabled CellAntenna to develop a portfolio of cell phone threat management solutions that deliver results cost effectively. . From this development CellAntenna has proven that unlike most jamming solutions (always on) intelligent cell phone detection can be a scheduled event that takes place over a short period of time as a per diem service. With this in mind CellAntenna has launched the CJAM- CPC Service Portfolio as their latest innovation. Designed to help correctional organizations worldwide solve this pandemic of illegal cell phones in correctional facilities. The CellAntenna CJAM-CPC Cell Phone Controller (CPC) is an intelligent cellular base station system that serves as a deterrent to cell phone possession and use in correctional facilities by detecting, controlling and managing contraband handsets and SIM cards. The CPC captures the unique serial number information from a handset (IMEI) and the SIM card in use (IMSI). 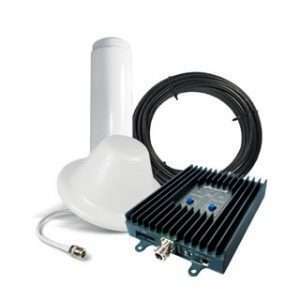 The CJAM-CPC typically works in conjunction with a distributed antenna system (DAS) which delivers precise coverage throughout the designated target areas which eliminates the possibility of cellular signals from outside the correctional facility being detected. The DAS is engineered based on the specific environment of each facility in terms of architecture, housing design and strength of the cellular carriers signal within the facility. All distributed antenna systems are designed to comply with all Health and Safety regulations that mandate emission levels. Unlike other detection and jamming technology, the CJAM-CPC does not need to be running 24/7. In 4-5 days the CJAM-CPC will detect all the contraband handsets and SIM cards in the correctional facility in the designated target areas. Since the CJAM-CPC runs on a Windows XP operating system the raw detection data captured from the handsets and SIM cards can be exported to a Microsoft Access database manager and report writer. The data can be sorted for use by investigators or compile lists of contraband handsets and SIM cards in use in the correctional facility for disconnect by the subscribing cell phone carrier. The CJAM-CPC is available in a portable form factor and can be moved to other correctional facilities with installed DAS for 4-5 days for detection and data collection. If 90% of the contraband handsets and SIM cards are detected and disconnected by the cellular carriers the CJAM-CPC can be re-installed at intervals based on how quickly the contraband cell phones can be replaced by the inmates in each correctional facility. CellAntenna engineers will conduct a site survey to determine the optimal system configuration and from that provide an estimate of coverage and capture rate. Based on the site survey results, CellAntenna will propose a plan based on the results of the site survey and the expectations of the end user. Once a plan has been finalized, CellAntenna technicians will visit the site as often as necessary and continuously monitor for contraband cell phones that are in use within the correctional facility. Over a period of time based on the size of the facility CellAntenna Cell Phone Control (CPC) system will detect the illegal phones and capture their unique serial numbers (IMSI for GSM & ESN for CDMA). All detection information is exported to a Microsoft Access database manager and report writer where detection data is organized and reported for use by investigators or mobile carriers. The list of contraband phones in use by inmates can be used by correctional investigators to determine who is smuggling handsets and SIM cards into the facility. In addition, the list of contraband mobile phones is then turned over to the cellular carrier by the corrections department for service disconnect (passive service denial). CellAntenna and the DOC will plan a visit schedule based on the anticipated replenishment rate of the contraband mobile phones and budget. Detection data is captured by the CJAM-CPC and exported to a Microsoft data base and report writer system (Microsoft Access). The detection information can be sorted and organized to help investigators arrest those aiding and abetting the smuggling of contraband handsets and SIM cards. The CJAM-CPC captures important handset information such as: SIM card serial number, number of detections, handset make and model information, time stamp, cellular service provider, and handset serial number (IMEI). CellAntenna offers the widest variety of solutions allowing correctional officials to select the most effective and affordable solution on a case-by-case basis. CellAntenna is an official member of the ICPA: International Corrections and Prisons Association for the Advancement of Professional Corrections.